Rafael Tapia, Jr. Native American / American Indian Blog by Partnership With Native Americans | Rafael Tapia, Jr.
Partnership With Native Americans “Quality of life” sums up Rafael’s 25+ years of experience in human, economic, workforce, and community development. He has served various social services and behavioral health programs, as well as tribal and state government and nonprofit organizations. 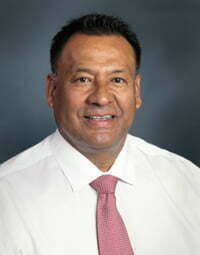 Throughout his career, Rafael has made an intentional effort to improve quality of life for Native American people, families and communities.Rafael holds an MBA from the Eller College of Management at the University of Arizona, as well as an Economic Development Certificate from the Oklahoma University College of Continuing Education. Rafael is an enrolled member of the Pascua Yaqui Tribe in Arizona.